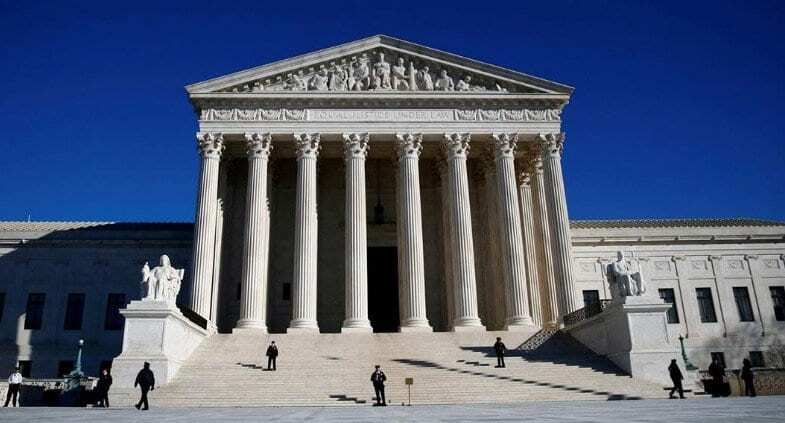 The Supreme Court refused to hear the Department of Justice’s challenge to a lower court ruling on Monday that blocked President Trump’s initiative to end the Deferred Action for Childhood Arrivals program. The DOJ’s request asked the Court to jump ahead of the 9th Circuit Appellate Court in reviewing the case in order to expedite the Obama-era policy end. This decision requires the government to continue the program’s protections while the legal fight continues after the government’s March 5th deadline. This entry was posted on February 26th 2018 at 10:50am/10:50 and is filed under Live News Column 1. You can follow any responses to this entry through the RSS 2.0 feed.